https://matcha-jp.com/en/5153 Matsumoto Kiyoshi - Convenient Services And Exclusive Discount Coupons! Matsumoto Kiyoshi - Convenient Services And Exclusive Discount Coupons! Matsumoto Kiyoshi is a popular Japanese drugstore that offers convenient services for visitors to Japan, including assistance in English and Chinese, and free Wi-Fi. This article introduces Matsumoto Kiyoshi and the discounts they have for MATCHA readers! Matsumoto Kiyoshi (Matsukiyo) is a drugstore loved not only by the Japanese but also by visitors to Japan. 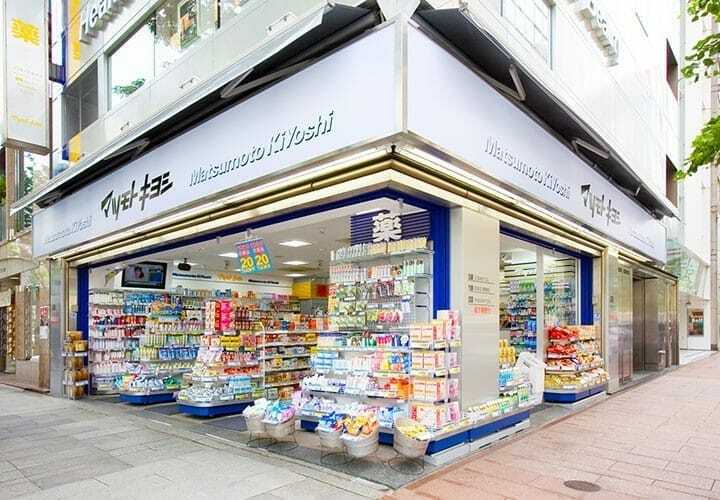 With roughly fifteen hundred stores located throughout Japan, Matsumoto Kiyoshi has everything from cosmetics and medicine all the way up to daily necessities and food products, all at reasonable prices. It's also your go-to spot when looking for good quality souvenirs. However Matsukiyo is not just a place just for shopping. It's also a convenient place where shop staff can assist you if you're in a pinch! During those times when a situation catches you off guard and leaves you wondering what to do, you can always count on Matsumoto Kiyoshi. In today's article, we'll tell you more about their services. During your trip, you may have faced a type of weather you're not used to or may have had to eat unfamiliar food, and as a result, you might have suddenly gotten sick. But even if you buy medicine, the explanations on the package is all in Japanese. Buying medicine in a different country can make you feel a bit uneasy. At times like this, we recommend going to Matsumoto Kiyoshi! At some Matsukiyo store locations, English and Chinese-speaking staff are available, so they can explain such things as the effects of a medicine and also how to take it. In the areas of Tokyo that are often frequented by visitors, such as Shibuya, Shinjuku, Ikebukuro and Ginza, and in the Shinsaibashi area of Osaka, the staff at Matsumoto Kiyoshi stores can often speak English and Chinese, and in some cases even Korean. As a result you should be able to choose the right medicine without any worries. Of course, the staff who speaks your language will also be more than happy to direct you to that souvenir you were thinking of buying, and give you details about the cosmetics you're interested in. It's almost like being in your own country, so by all means don't hesitate to ask! At Matsumoto Kiyoshi, you can be served in your own language. If you should have any health concerns during your visit here in Japan, give Matsumoto Kiyoshi a try. Convenient Wi-Fi Access: No Pre-Registration Required! One of the biggest concerns among visitors to Japan is the lack of free Wi-Fi spots. Many shopping places and cafes are without free Wi-Fi, so visitors are unable to look up information from where they are. But Matsumoto Kiyoshi has solved that problem as well! The Matsumoto Kiyoshi stores in Japan's main cities all have free Wi-Fi access, and no prior registration is required. Of course, the Matsumoto Kiyoshi stores where international visitors often shop at, such as Shibuya Part 1 Shop (regular distributor shop for SK-II cosmetics), Shinjuku-Sanchome Store, Ikebukuro Part 2 Shop, Ginza 5th Shop, and the Shinsaibashi Store in Osaka, all have free Wi-Fi. When you need to look up how to get to your destination or find the meaning of a Japanese word, but you can't find a Wi-Fi spot, head to your nearest Matsukiyo! Also when you can't remember the name of a product you want to buy for a souvenir, this is a convenient place to look it up on your device. Discount Coupons for Matsumoto Kiyoshi Stores! Only for MATCHA Readers! Though Matsumoto Kiyoshi is well known as a place where you can buy goods at reasonable prices, duty-free items are also available at roughly four hundred of their stores across Japan. Also, special discount coupons are currently available, but only for MATCHA readers. When paying for your purchase at the cash register, just show the QR codes seen below. On purchases exceeding 10,000 yen, you will get three percent off on the duty-free price, and on purchases exceeding 30,000 yen, you'll get five percent off on the duty-free price! (This campaign is available until May 31, 2018*). To find out which stores have this duty-free service, refer to the Matsumoto Kiyoshi official homepage. If you buy your souvenirs in bulk at Matsukiyo, you'll be able to enjoy further savings. In addition to medicine, Matsukiyo has an outstanding selection of popular Japanese cosmetics and other convenient products. This certainly feels like a shop that features the latest in Japanese consumer trends! It's a big plus when stores can assist customers in both English and Chinese. It's also good to know that you can look up anything you want to with the free Wi-Fi. This isn't just a place for shopping, so if you should ever find yourself in a tough situation during your stay in Japan, first try going to the nearest Matsukiyo. Please look below for further information on the shops that we mentioned in this article (free Wi-Fi and duty-free services): Shibuya Part 1 Shop, Shinjuku-Sanchome Store, Ikebukuro Part 2 Shop, Ginza 5th Shop, and Shinsaibashi Store. - These coupons do not apply to some store items, such as cosmetics that include counseling support, cigarettes, magazines, baby's diapers, and baby food. - These coupons cannot be combined with other discount offers. - Please present the coupons before paying for your purchase at the cash register. - Some stores in Okinawa prefecture and other areas do not accept these coupons. - When a pharmacist is not present in the store, behind-the-counter drugs and Class 1 OTC (over-the-counter) drugs cannot be sold. *The duty-free and discount services mentioned in this article are for visitors to Japan. Please note that these discount services do not apply to Japanese people and foreign long-term residents. *The above mentioned prices and discount service details are accurate at the time of writing, October 2017. Sponsored by Matsumotokiyoshi Co., Ltd.
Matsumoto Kiyoshi - Top 5 Discount Products And Exclusive Coupons!